We receive NO TAX DOLLARS or Government Handouts! We have no paid staff! Ask your employer to match your donation and increase the value of your gift! Law enforcement relies on citizens to provide crime information which done anonymously using Crime Stoppers has proven effective! 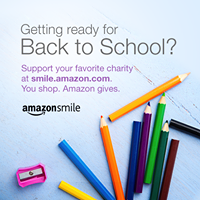 Donate to Crime Stoppers of Minnesota while doing your online shopping on Amazon, AmazonSmile is a website operated by Amazon that lets you enjoy the same wide selection of products, low prices, and convenient shopping features as on Amazon.com. The difference is that when you shop on AmazonSmile (smile.amazon.com), the AmazonSmile Foundation will donate 0.5% of the purchase price to Crime Stoppers of Minnesota. Please select Crime Stoppers of Minnesota as your charity of choice. The funds you donate will help us pay rewards, maintain our state-of-the-art tip management software, increase public awareness, Coordinate law enforcement relationships across the State and helps us publicize cases by working with media outlets. Crime Stoppers of Minnesota complies fully with the reporting requirements of the IRS, the Minnesota Secretary of State, and follows the guidelines of the Minnesota Council of Nonprofits.